A monthly update on all things volunteer ﻿at Habitat Snohomish! In October and November, volunteer groups are assisting with the interior construction of our new Smokey Point Habitat Store. We are also looking for volunteer store associates to help when our store opens in early 2019. Giving Tuesday lands on November 27th this year and is a national day of giving both financially and with your time. If you can’t donate financially for Giving Tuesday, lend a hand in one of our Habitat Stores! Please keep in mind that new volunteers must attend an orientation prior to their first volunteer day. Sign up here to volunteer on November 27th. 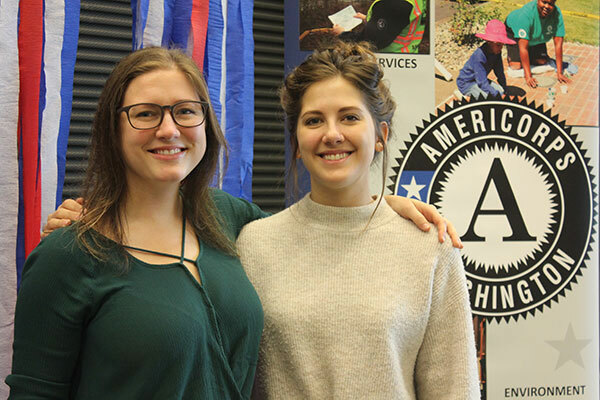 On October, 26th, our Veterans Build AmeriCorps VISTA Jordyn Wagner (left) and our Resource Development AmeriCorps VISTA Shelby Brewster attended the Washington AmeriCorps Swearing-In Ceremony. 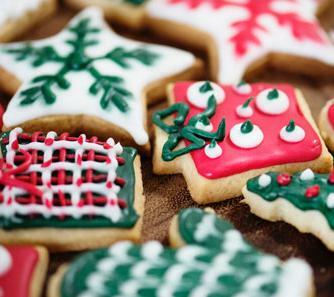 Volunteer to make and donate a batch of Christmas cookies to send to our donors! 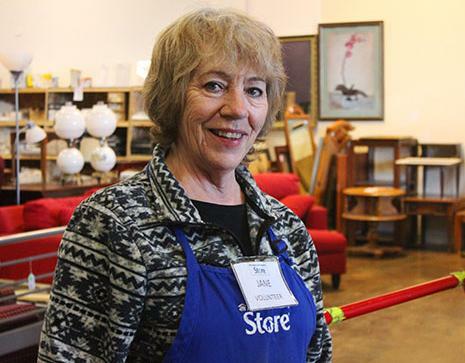 Jane Perry is a dedicated volunteer at our Lynnwood Habitat Store, generously serving has a cashier each week. ﻿She enjoys spending time with our customers and know many by name. We also appreciate her feedback and support for smooth operation of the store. Volunteer with us! All new volunteers are asked to attend a new volunteer orientation prior to serving with us. The upcoming orientation schedule is below. Volunteers must sign up here for the orientation they wish to attend. • Everett Habitat Store at 4 p.m. on Nov. 7th and 19th. • Lynnwood Habitat Store at 9 a.m. on Nov. 17th & 12 p.m. on Nov. 28th. It’s the month of giving thanks! We would like to thank all of our volunteers across the organization for the hard work and time they put into maintaining our daily operations! As a volunteer-run organization, there is nothing we appreciate more than the hands that help in our stores, on the construction site and global village teams. We also applaud our volunteers in the office, committees and board of directors. Whether you’ve volunteered one time or have given your time weekly for years, we appreciate you and everything you’ve helped us accomplish!